Breathing in Grace: "Truth"ful Tuesday!!! 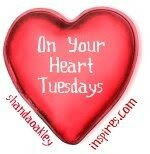 For as long as the Lord leads, I'm going to devote my Tuesday post to "my" word for 2012....TRUTH. I got a new, clean notebook from my stash and as I do my daily devotional and Bible reading, I'm jotting down things that apply to TRUTH. I want to be able to look back over the year and see how God spoke about the word He chose for me to meditate on!!! Ephesians 4:14-15.....we will not be influenced when people try to trick us with lies so clever they sound like the truth. Instead, we will speak the truth in love, growing in every way, more and more like Christ. Matthew 6:5.....I tell you the truth. Matthew 6:16......I tell you the truth. 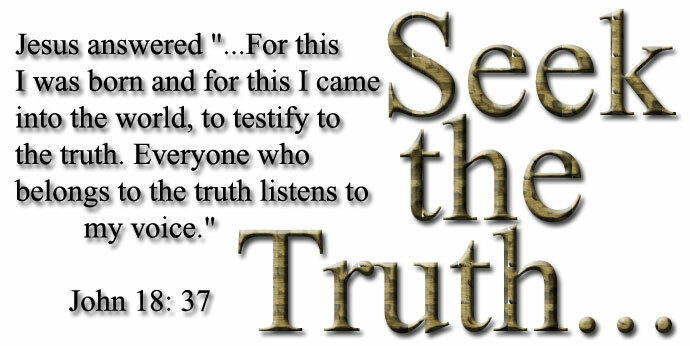 I also discovered a "truth" that I had felt so strongly in my heart already, and God confirmed. I picked up what I thought was a current "The Upper Room", and it was actually an older copy. I found an article about prayer entitled "In Times Like These" and it talked about how often "optimism that is too excessive can become completely illogical. Such a positive attitude sometimes leads us to believe that we can control our destiny and shape our circumstances entirely by force of our own will." CHRISTian HOPE is based in the truth of resurrection as we see it in the life of Jesus!!! I'm so looking forward to discovering more TRUTH....about myself....and others....and especially about our precious Lord and Savior and how I can apply HIS TRUTH to my daily living!!! Are you finding your "word for 2012" showing up a lot in your reading?!?! Have a nice day. Rainy here. And holidays. My challenge is to be gracious (graciousness is "my" word) while adhering w/o apology to truth. Wow...when I went to bed around 1 a.m. on New Year's day, after our church service, the one thing that I began to pray was that the Lord would help me to know the truth. There are things going on around me and people have their opinions and I just want to know God's truth about the matter! Then in church the next day, I felt the Spirit speaking to my heart - You will know the truth, and the truth will make you free! What a confirmation to read your post today. Thanks! LOVE your new blog look....and of course in total agreement with seeking the Truth...your signature word for 2012...mine being "commitment" ....two bound by common interest ...I am comitted to seeking truth....Gooood Morning Deb! Your plan to keep a journal on your word is an excellent idea! We shall know the TRUTH and the Truth will set us free !! Beautiful post here! God sent me 3 confirmations that my word for this year is obedience...and your post with the verse here from Deut. was one ~where it talks about obeying....I am looking forward to what God will share with me this year on obedience..I am also a bit apprehensive! I like what you said about being over the top with a positive attitude to the point of not being in reality. I have experienced that and it is damaging...Balance is what we need. Honesty with a good dose of being positive I think. Great post....look forward to what God shares with you and we too can learn from your new word. God bless.